When we got back from being away a week this nest was there with three eggs and then four. The adults did not like us drying our clothes and started stuffing grass down the vent. Terry and Adriana took the hose off the dryer to remove all plant material. And Terry found a vent that was covered and bird proof. The vent stuck out further to help the invading family. They must not have been too bothered because the family was raised. Two of the four birds survived to fly away. I found no remains of the other two. 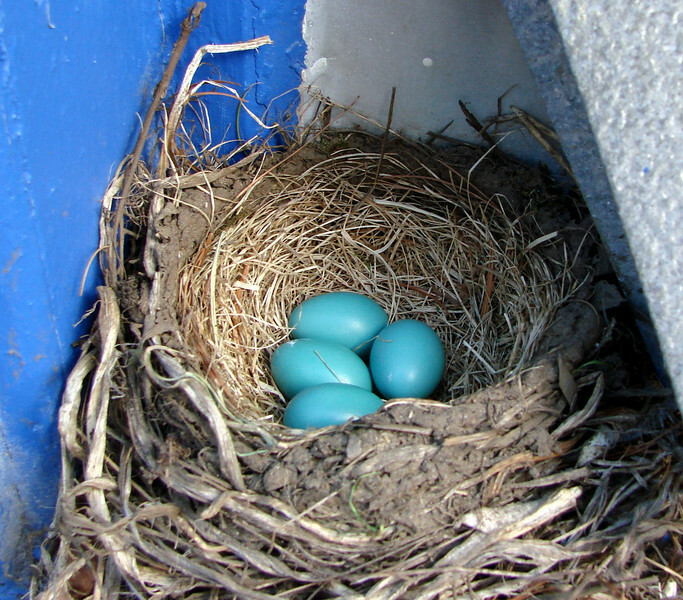 4-26-08 - Beautiful blue eggs.